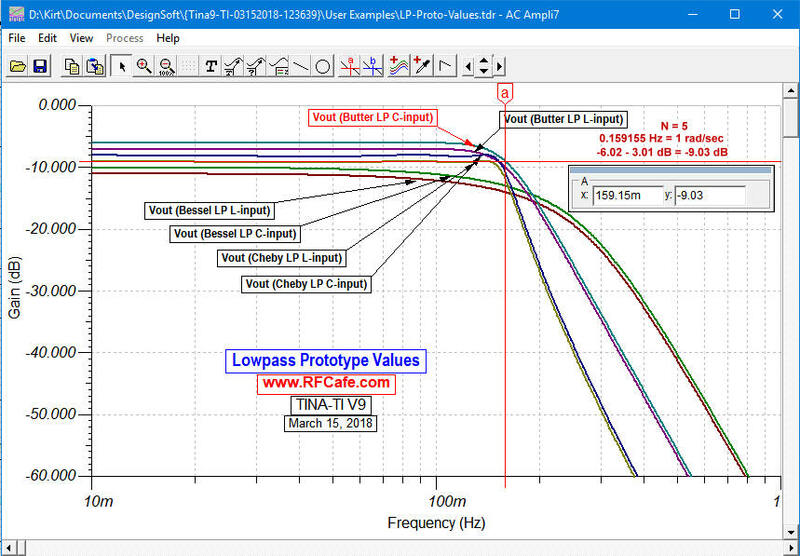 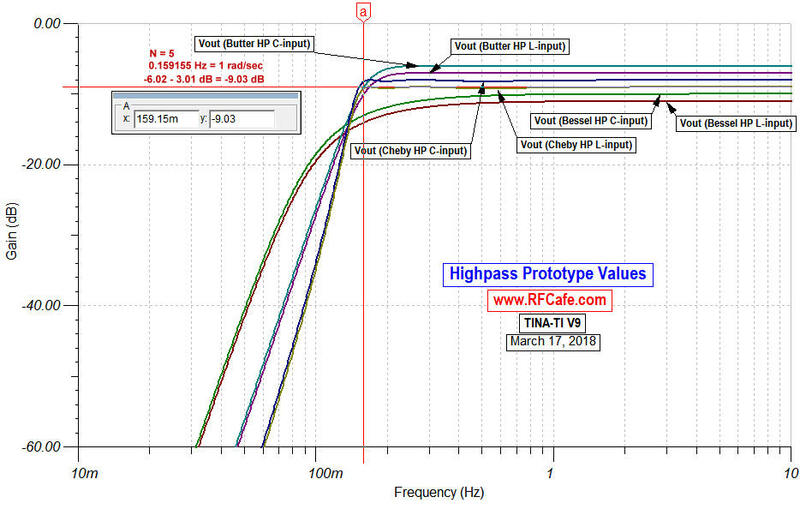 The table below lists prototype element values for the normalized lowpass function, which assumes a cutoff frequency of 1 rad/sec and source and load impedances of 1 Ω. 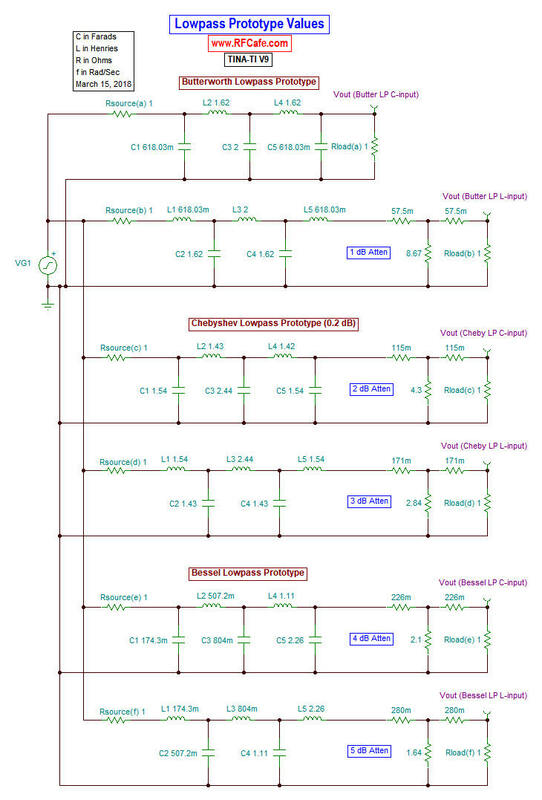 Either an input capacitor (top title line in table) or an input inductor (bottom title line in table) can be used. 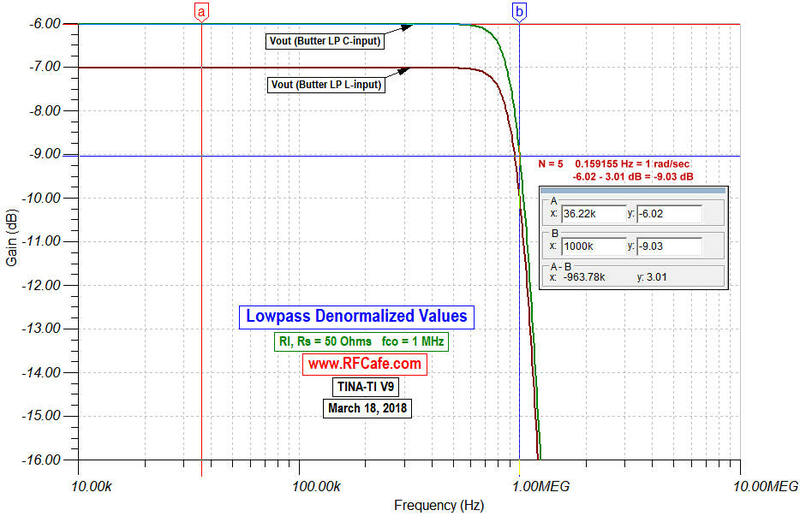 Note that for even order filters, the 0 Hz (DC) insertion loss is equal to the ripple value. 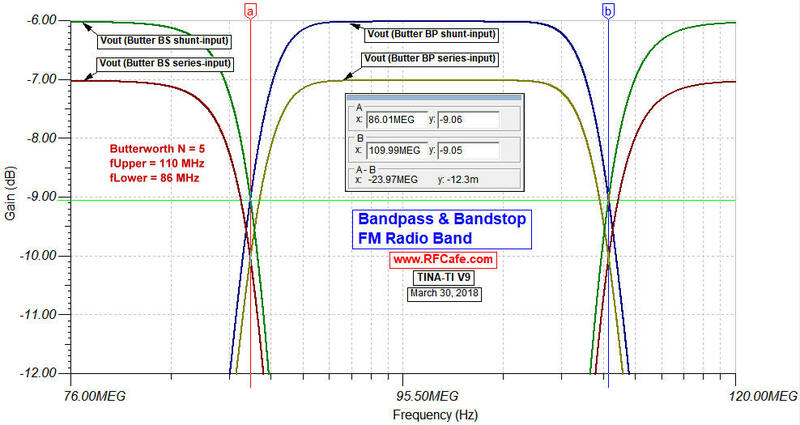 Convert values to other cutoff frequencies, impedances, and to highpass, bandpass or bandstop using denormalization equations. 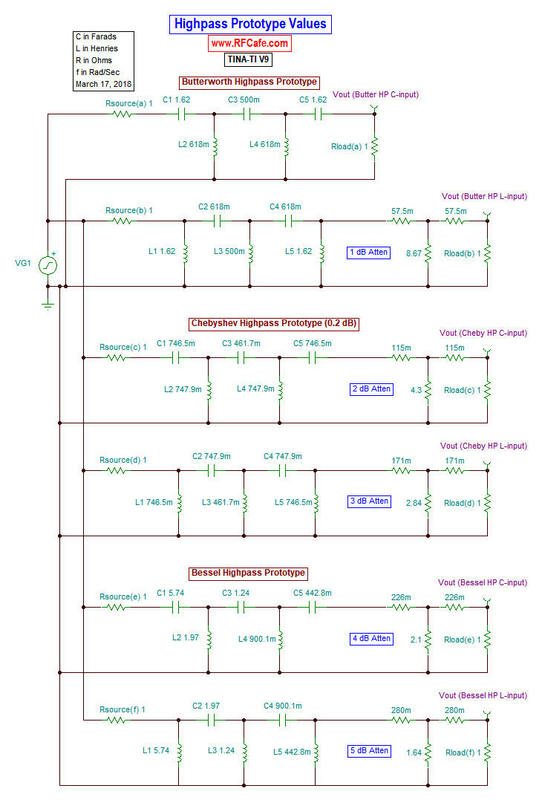 Complex poles are here. 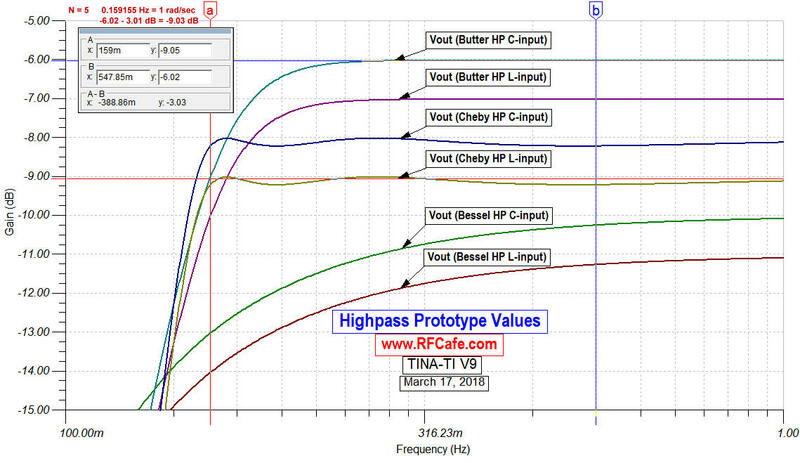 * Note: In the tables below of normalized Chebyshev filter components values, the right-most column is labeled "RLoad." 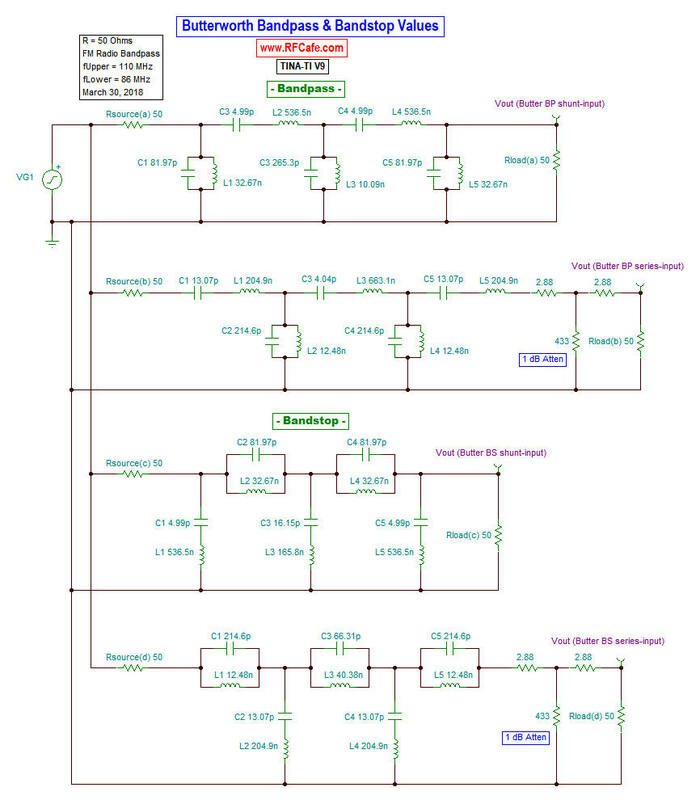 This is necessary because even-order Chebyshev filters are not realizable when the source and termination impedances are exactly equal. 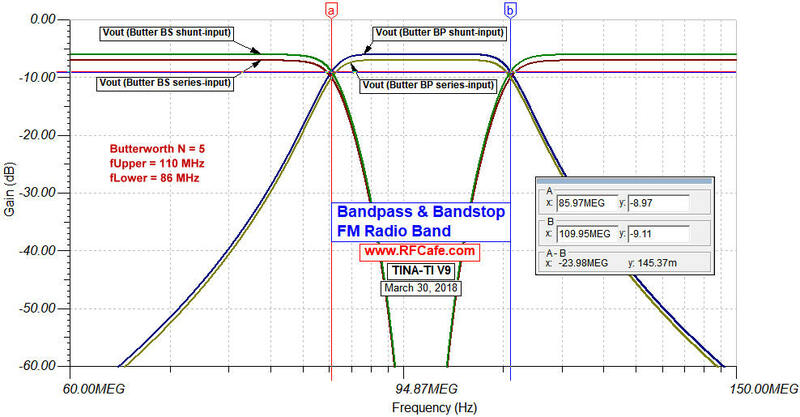 A scaling factor is included for the termination impedance as shown.